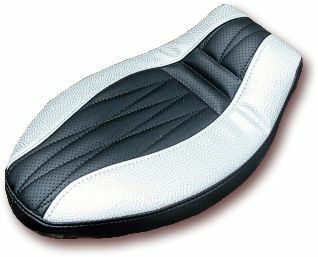 This was a neat little seat to upholster with a diamond design. 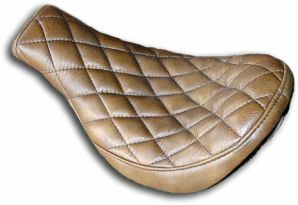 What made this seat unique was that the material was taken from a brown leather jacket supplied by the customer. 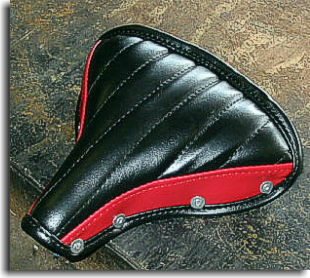 This was a nice project to be involved with recovering a seat for an antique bicycle. 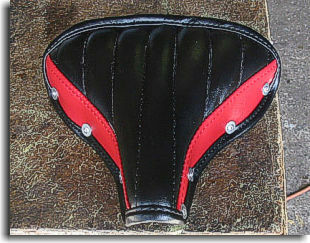 Getting as close as possible to the red vinyl, the seat was reupholstered duplicating the original sewing design. This was a project done for a Pediatric dentist office. 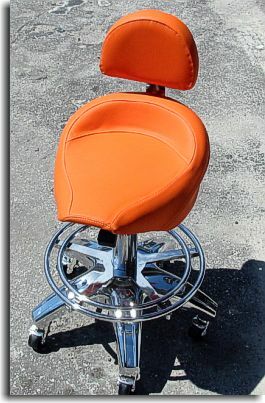 They really liked the way these motorcylce seat / stools sit when examing the children. 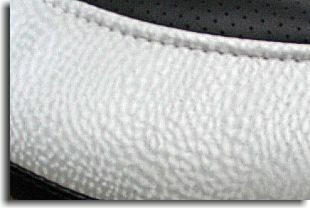 When bought new, they were upholstered in black vinyl. Catalina Custom recovered a half dozen of them in yellows, oranges (shown), blues and green.